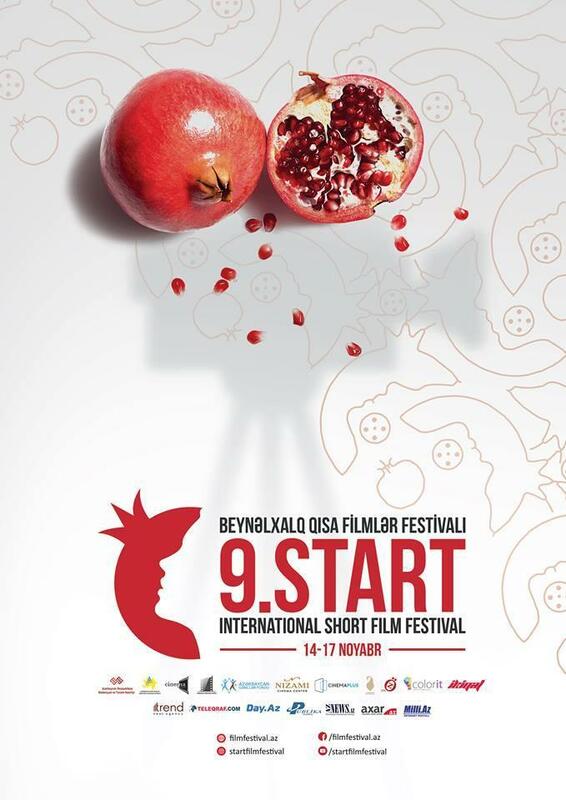 The ninth START International Festival of Short Films will be held in Baku on November 14-17. The project aims to review and discuss films, identify the best of them, familiarize local specialists with international practice and new trends in cinema. The festival "START" creates an opportunity to establish links between local directors and their foreign colleagues. The international festival is co-organized by the Ministry of Culture and the Ministry of Youth and Sports, Cinema Center for Young Cinematographers, Azerbaijan Youth and the Producers Guild, Trend Life reported. About 490 films from 45 countries have been sent to the festival. Among them are representatives of Azerbaijan, France, Spain, Germany, Great Britain, Italy, Turkey, Iran, Russia, Georgia, Kyrgyzstan, Kazakhstan, Uzbekistan, Tajikistan, Ukraine, Poland , Estonia, Latvia, Lithuania, U.S., Canada and others. By decision of the selection committee, the main program of the festival includes 100 films from 30 countries. The festival features international and national competition programs. More than 70 international films and 28 works of national filmmakers will compete for Golden Pomegranate Award. The Organizing Committee has also increased the number of nominations. Along with the nominations "Best Feature Film", "Best Documentary Film", "Best Animated Film", "Best Experimental Film", the winners will also be defined in such categories as "Best Director of a Feature Film", "Best Director of a Documentary Film", "Best Director of Animated Film", "Best Experimental Film Director". The films will be evaluated by international jury members. Azerbaijani films will compete for the prize in the categories "Best Feature Film", "Best Documentary Film", "Best Animated Film", "Best Director", "Best Producer", "Best Screenplay", "Best Cameraman". The first ever film contest "Cinemobil" will be held as part of the festival. Films taken on a mobile phone will take part in the contest. Only three films out of 15 are allowed to online voting. Moreover, a pitching (presentation of a film project with a view to finding investors willing to finance this project) will be also held. Only three film projects will be chosen among 10 works. Films included in the film festival program will be shown on November 14-17 from 12.00-16.00 at the Nizami Cinema Center and CinemaPlus-28 Mall cinema. In addition, a special program dedicated to the 120th anniversary of the Azerbaijani cinema, as well as master classes, discussions, etc. will also be held.